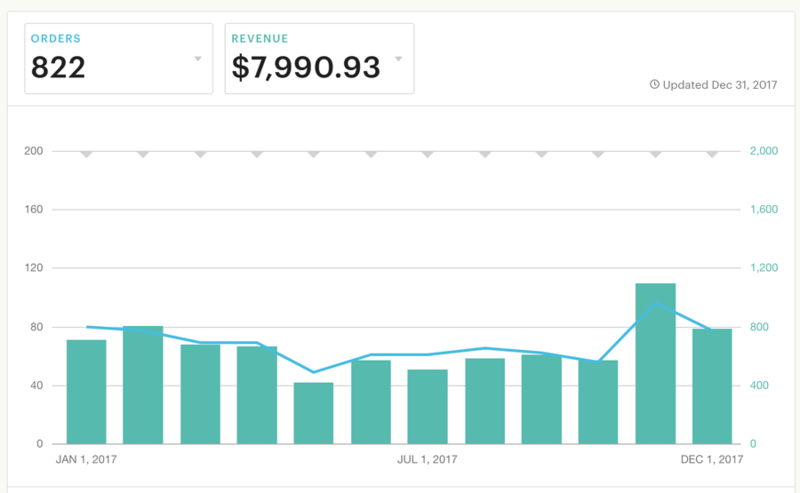 Since I started selling digital downloads on Etsy, my own website and Shopify I have made 100s of dollars a month! Here are all my best tips and ideas for how to create printables to sell online that will help add other products to add passive income to your business! Don’t miss the part about selling something that other people are giving away for free! I started my Etsy store in 2015 and opened a Shopify site in 2016 to sell printable planner pages and later services. This year I started selling digital downloads on my own site using Clickfunnels. I will talk more later about how I stocked my store at the start! That averages to $665.91 a month! Now, you may have much bigger dreams about your downloadable products business, but seeing that I added very few new products and did almost no promotions, over $500 a month in passive income is a great sideline business for me! Here is one of my planners that I have been selling for a little over a year. I have helped lots of direct sales people do better work AND made some real money doing it! 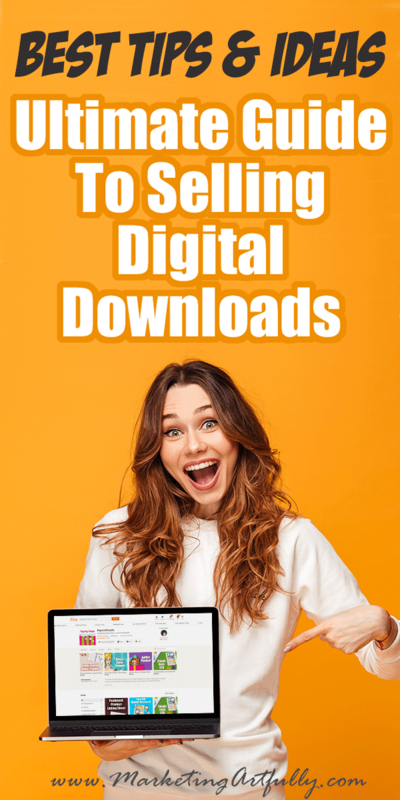 I have heard lots of “passive income” ideas over the years and most of them are crap, but selling digital downloads can be one of the most lucrative and hands free ways to make passive income I have found. Within reason! Etsy is my favorite place to sell digital products. They have the infrastructure to help buyers get logged in and accept payments and also provide customers to buy my products. Additionally they send emails to help remind people about my products, do a wee bit of retargeting ads for free and also have paid options available for promotions. Over the last few years I have had very few problems either with delivery or customer service. I had a Shopify store up for a while and have slowly let it fade away. Honestly it is not Shopify’s fault, I am just not interested in doing customer support or helping them log in and find their products. Additionally, I have to generate all the traffic to my Shopify store and that can be a challenge. Over the last few years I have had very few problems with delivery, but way more customer service is required. Probably my second favorite way to sell digital products is through my email provider. I use them to do my email marketing, which is tied to being able to purchase digital downloads and then to fulfillment. Again I have to generate all my own traffic, but since it is a part of my regular cost of email, it doesn’t need to sell as much to break even or even make me more money! Alrighty then, let’s jump in and talk about digital download products. What the heck are they? One of the best things about digital download products are their ability to generate passive income. As I said, I tend to “set them and forget them”, just letting them sit there and churn out sales year after year. 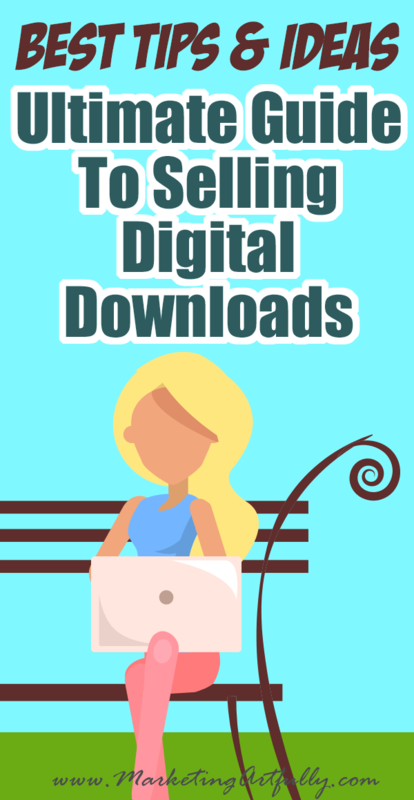 If you haven’t ever thought of creating digital download products it can be REALLY intimidating to get started! But I bet you already have lots of things on your computer that you could launch today. 1. Start with what you already have! For example, I started my store with worksheets that I had already made to use myself. I tend to make a new worksheet anytime I get stressed about my work so I just publish them as products as I go! I also had a few ebooks that I had created over the years that I put up. 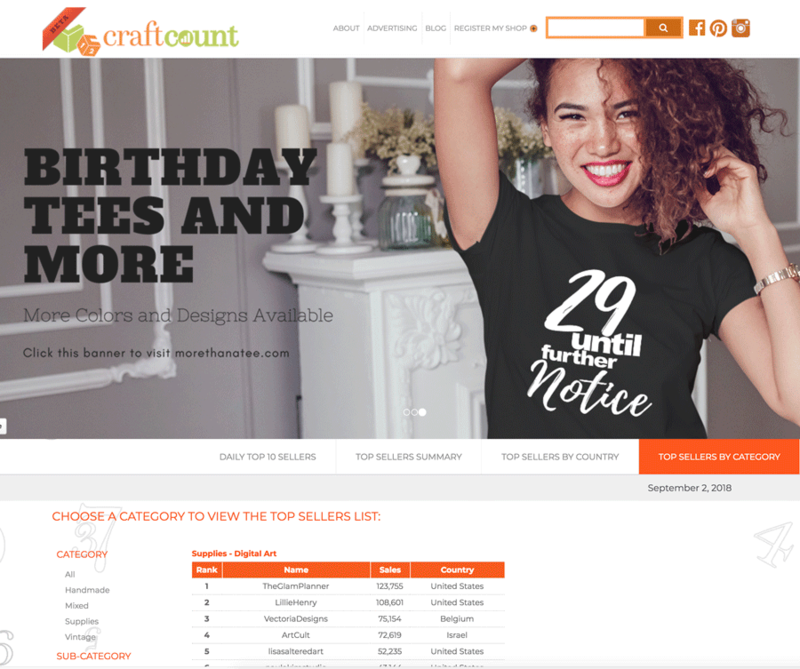 I sell on Etsy so I like to use the site Craft Count to see what is popular. Now, this is NOT to copy but just to find out what other people have sold successfully in the past. 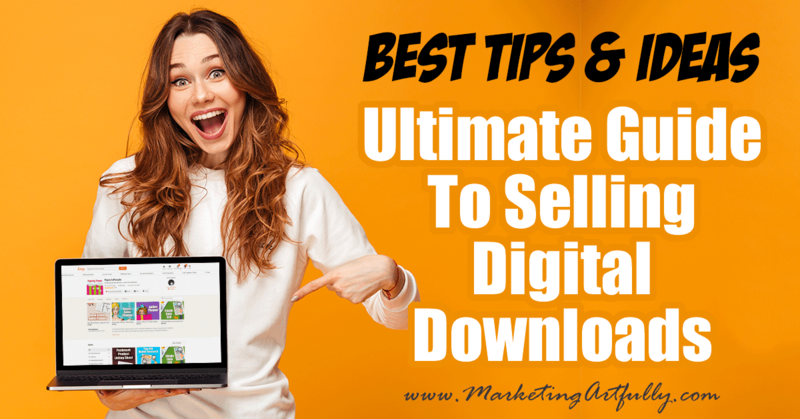 You can check out all the categories related to selling digital downloads and see what they top sellers are doing! Note: Copying other successful people exactly rarely works. You could have your store taken down because of plagiarism. Additionally there is a thing called the “first to market advantage” which gives them a perpetual bonus for selling. It is better to look at what they do and find something comparable that you could do better than anyone else! I have found that asking my “peeps” what they want results in the best products. Send out an email asking what your current tribe needs and then make that. OR do a Facebook survey listing your top 5-6 ideas and ask which your people would like to see first. When I started I heard this A LOT and never really paid it any mind, but as I have gone on I start noting down what people are asking about a lot and then create products to answer those needs as we go. Now that you have an idea for your first product, I am sure your next thought is, how do I make this a digital download. Here are some ideas, starting from the easiest to the hardest! Many people think that you have to get all fancy for your digital downloads, but you can start out easily by just having a Word Doc, Excel Spreadsheet or even a Powerpoint (just remember that not everyone has Powerpoint). If you are unsure about how to do this I can’t recommend this “fill in the blank” template to get you started! Remember, it is not the format but your content that they want to buy! 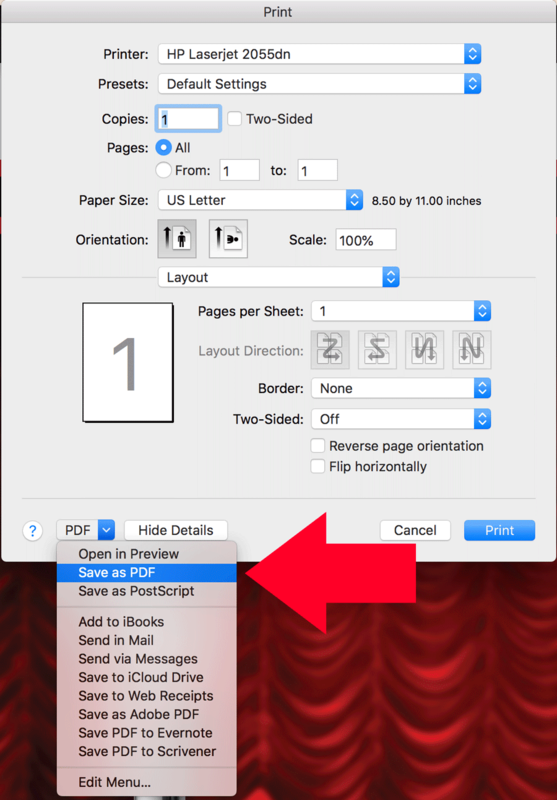 Another easy way to make digital download products is to simply choose the “save as” PDF function in your print menu. This allows you to deliver a formatted, easy to keep file to your customers. Some sellers like me will want to use Adobe Photoshop or Illustrator to create their products. this is generally only necessary if you are making “fillable” forms or graphics heavy products like patterns or SVG files. Many of us are using this type of lower ticket product to sell into a larger product. 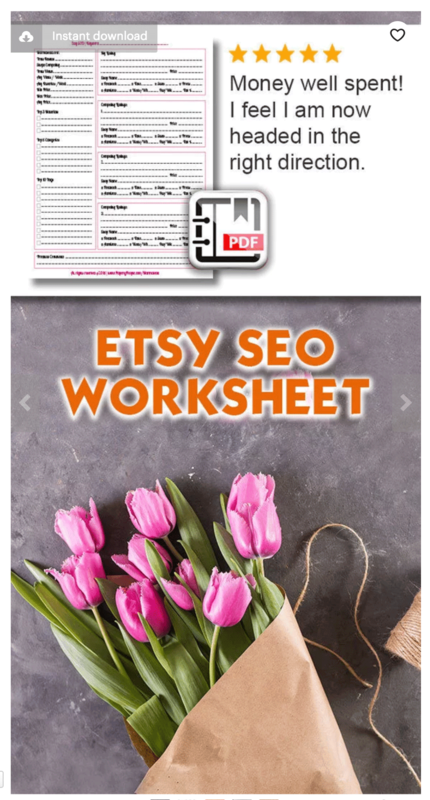 For example, some people who buy my $3.50 Etsy SEO worksheet go on to buying my $150 Industry Research SEO product. 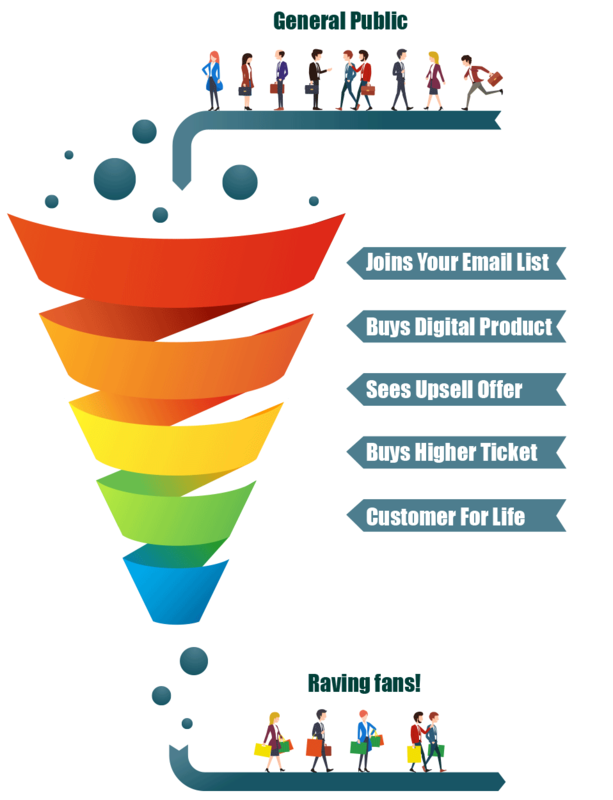 So with this in mind, you could make money passively by selling a “smaller” digital download product that would help them move down the sales funnel to your higher ticket item. 1. Include a call to action at the end of your digital product. If you did a great job on a lower ticket item, they may want to buy something more from you when they are done. Mentioning that you have another (higher priced) offering at the end of your product. As you launch more and more products, some buyers will want to buy some or all of them. If you have them on your email list you can notify them when a new product launches. When I do work for people I like to send them to a survey to get feedback on what I did right or wrong. You could include a subtle upsell pitch at the end of the survey. 4. Give them a coupon or “credit” towards your higher ticket item. Sometimes all it takes to get someone who likes you to buy is a wee discount. Include a coupon for a discount or even offer to “credit” the cost of the digital item towards them purchasing your higher priced product. Most sellers start by selling lower priced digital downloads but there are easy ways to move that price point up! I started with all products between $1-3.50 and that made making money a little challenging. But then I decided to start selling planners that were $17.50. This increased my income exponentially! 1. Bundle – you can bundle a number of related products together and offer a bit of a discount on buying the larger product. 2. Increase Size – moving from a single page to a whole planner let me charge more for my products. One thing about digital downloads. They can be scary to your buyers. Even though they have been around FOREVER in internet years, many people have never ordered or paid for one yet. ANYTHING you can do to make people understand the process when you send your confirmation email will help. Make sure to include directions for how they will get your product and how to download it (say if it comes in a .zip file). How Can You Sell Something That Other People Give Away For Free? One HUGE problem I hear from people considering making digital download printables to sell is that other people are giving them away for free. How the heck can you combat this with your product? 1. Don’t Worry! First off, you need to stop worrying about other people and focus on making your product AMAZING! People are more than willing to pay for something that is of value. 2. Make Yours Professional. The only way to prove your value is to provide something they can’t get for free. Check out your competition and do more than they do for free. 3. Grow A Tribe To Sell To. This has been a big one for me. I have this website and an email list who I sell to based on what they need. Your tribe will be the people who start the buying ball rolling and then tell all their friends about your products. 4. Offer Guarantees. I offer a 100%, money back guarantee on everything I make, no questions asked. Over the years I have given back a handful of dollars, but that guarantee makes people so much more comfortable to buy! Check out my shop to see all the items I have for sale!